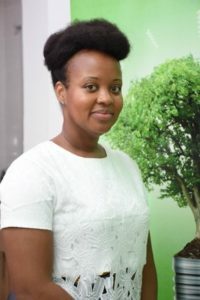 After relocating to Ghana in 2013, Samlara Baah noticed a stark difference between the impressive landscape and the horrendous sanitation environment. In 2014, she sought to learn more about this space. After finding conditions to be deplorable for so many throughout the country, Samlara jumped head first into partnering with sanitation providers to create a solution that would become an affordable alternative to the locally accepted traditional model of home sanitation solutions. Loo Works will one day be able to engage all stakeholders in the sanitation space in providing profitable solutions for the bottom of the pyramid. Prior to Loo Works Samlara’s career centered around people and business development in a corporate space. Her transition to Ghana has enabled her to use her business acumen to make a business that works towards solutions for the most underserved in our communities. At Loo Works, we have one goal, to strengthen the sanitation value chain by flooding the market with sustainable toilet options that eliminate the need for unsafe sanitation practices. We currently achieve this goal by specializing in appealing and durable prefabricated toilet houses, we call them superstructures. We partner with local companies to provide an off-grid, odor-free waste management solution that takes up minimal space. By partnering with local digester suppliers who specialize in aerobic, biological waste management solutions, we ensure our customers receive an off-grid toilet system suitable to their needs. By partnering with local assemblies to educate community members on the long-term benefits of owning a toilet, we ensure that our process is inclusive and the end result is a long term toilet solution that will be used by our patrons. We presently offer household toilet options and have public toilets options for high-traffic areas coming in mid-2019.